Our teams are assembled from a diverse network of education professionals from around the country and the specific communities we serve. Check out some of our projects and clients. The Community Charter School of Cambridge, a high performing urban 6-12 charter school wanted to enhance its local brand awareness and marketing to support the annual student recruitment drive. An internal brand review, refresh and new marketing strategy would have taken too much time away from instruction and student support. And it was not clear there was expertise among the staff to tackle these challenges. The head of school choose to “outsource” the challenge to an Ed Inquiry team of professionals that launched a city-wide recruitment campaign to attract new students. The campaign featured students and expanded the school’s use of the web, social media, digital content, outdoor advertising and research analytics. The newly appointed Head of School for Pathway Academy Charter School in Kansas City knew that the academic outcome for students was very low. Students were well below grade level in reading and math. The school was facing probation from its authorizer and decreased enrollment. Pathway a Pk-4, had already reduced it grade span and knew it needed to close skills gaps in math quickly. Familiar with the data driven approach to transformation, Pathway “outsourced” it blended learning, learning analytics, data integration development and maintenance to Ed Inquiry. In a matter or weeks, new ed tech tools were added and integrated, training for subject matter coaches launched, and students were becoming engaged in a whole new way of differentiated learning using a combination of classroom teaching and technology training all supported by detailed student performance data. By the end of the first school year, students had submitted 1,000,000 online problems and all teachers were using these new tools. Students skills gaps were systematically closed and math skills advanced climbing from grade levels below. The leadership of the Benjamin Banneker Charter Public School recognized the importance of a multi-pronged approach designed to transform and enhance their school to become one in which achievement is the norm and high expectations are intrinsic to the school’s day-to-day operations. Banneker’s leaders embraced the organizational transformation needed to enhance and modernize math instruction. 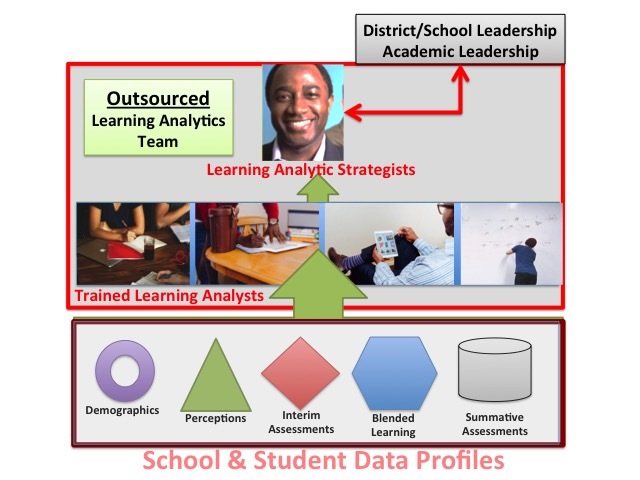 After years of building a stable school community with highly qualified teachers, a capable technology infrastructure, and an academic program proven successful, the school leaders of Banneker wanted to “leap frog” to best practices in data driven decision making, personalized/blended learning and the use of learning analytics. Benjamin Banneker partnered with Ed Inquiry, acting as a change agent, to build on past successes and accelerate institutional growth in data literacy and analytics. Tools such as iReady, IXL, Lexia, Powerschool and others were integrated to create robust and individualized learning pathways for students, instructional insights for teachers and robust ongoing assessments for subject coaches. By school year end, Banneker’s Leadership wanted to provide incoming parents, students and staff with “soft training” on inclusion and tolerance, Banneker’s leadership engaged Ed Inquiry again to prepare a school wide easily accessible statement that would be broadly available across the school community (parents, students, faculty and staff). The school community came together to create a music video that created many opportunities for staff to work together and for student learning in everything from video production to the importance of compassion and global responsibility. 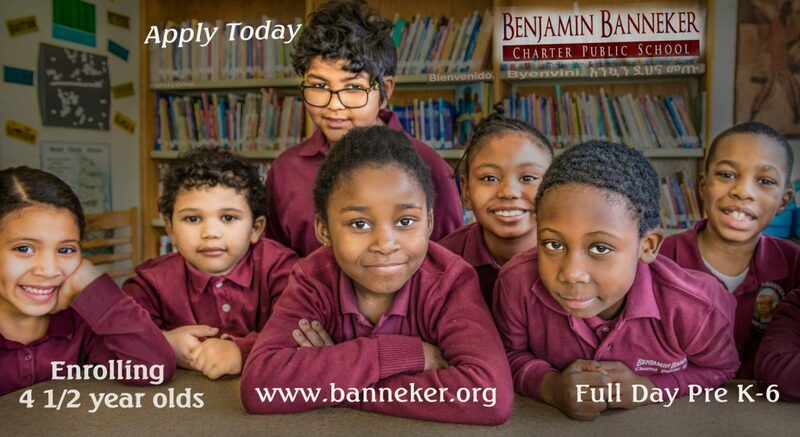 Although Banneker is a Cambridge district charter, for many years in its history, more students were applying from other locations. A large percentage of applicants came from Boston and other locations such as Malden and Everett. Both the State and Banneker wanted to enhance recruitment from the Cambridge district. Working with Ed Inquiry, Banneker launched a new recruitment campaign that yielded a 100% (with the exception of siblings of existing students) Cambridge incoming class for 2017 – 2018. The campaign focused on the school’s successes, diversity and Pre K programs. New media was strategically placed. Enrollment applications were re-designed and made more accessible online in multiple languages. The web site was also enhanced to better serve prospective parents gain better understanding of the school and the process. The result: for the first time in the school’s more than 20 year history, Banneker has a healthy wait list of Cambridge applicants and has exceeded its aggressive recruitment goals for Cambridge applicants for 2017-2018. How do you re-engage those disaffected young students that have dropped out of their high schools? That was the question posed by the City of Newark, The Foundation for Newark’s Future and the Community Foundation of New Jersey, where Ed Inquiry worked with community leaders to envision, design and launch a new city wide initiative to create an innovative strategy for re-engaging off-track and out of school young people. Working with teams from Jobs for the Future, Ed Inquiry was on the design team of an innovative program that promises to bring many young people, currently out of school or falling behind in school, a new chance to achieve high school certification and job skills. 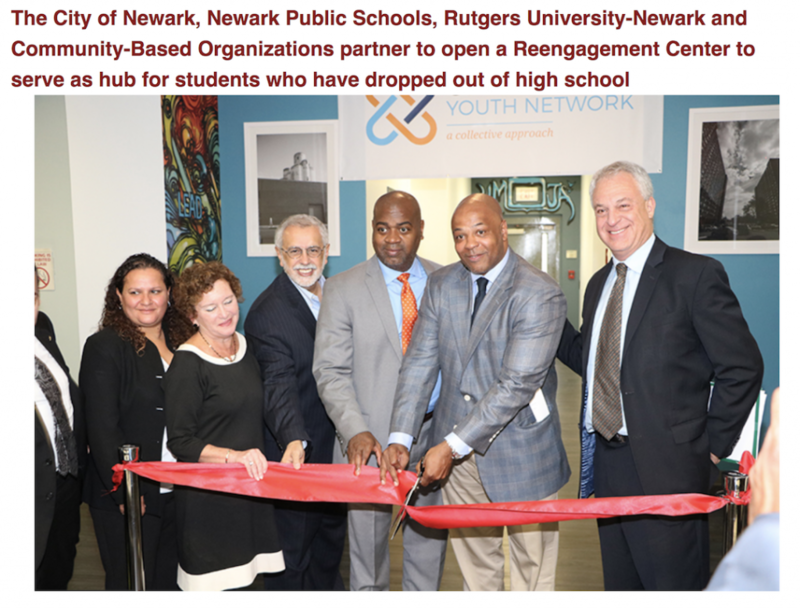 The Newark Opportunity Youth Network is offering a fresh start to many out of school youth throughout Newark. How do you engage an entire school community to prepare for the new rigorous Common Core math assessments? The school leader knew that her students could do more if given the chance. Raising expectations would help to raise scores among the teachers and students. But engaging the entire community in a focused effort was a challenge. This challenge was “outsourced” to Ed Inquiry: bring blended learning best practices to the school in math, while training teachers in the new tools and engaging students. The data for this PK – 8 in New Orleans showed that there were a large number of students that were several grades behind, in fact many had given up on math. But using student input a school wide campaign was developed that included music, videos, blended learning tools, parental engagement and a challenge that captured the imagination of the school community. Math scores rose 22% in pilot grades. Research shows that student feedback about classroom experience is a valid predictor of classroom performance. The Algiers Charter School Association in New Orleans knew that student perception data would help them to enhance their high school program. The CEO of the network partnered with Ed Inquiry to create a systematic, research based program of student, teacher and parent feedback (school stakeholders) to chart successful transformations and turnarounds. Ed Inquiry school level research uses technology that has been tested in many states. This research approach gives charter and school leaders the insights they need to address some of the most challenging issues within the school culture and plot a course for real lasting improvement. design reports that can inform teachers about the specific challenges of each student. Most district and school leaders have learned that simply adding new technology platforms does not deliver the insights or results needed to bring about changes in classroom practice and student scores. Ed Inquiry practice specialists help with the interpretation, insight generation and development of strategies that transform data into actionable insights for transformation and turnaround. From the initial charter application, to school start-up, through a difficult renewal or possible school closure Ed Inquiry is available to assist. Charter Boards often need assistance in establishing or enhancing their governance and oversight capacity or in strategic planning. New board members need orientation, and new boards need structure and best practices. How do you provide oversight without micromanaging? Ed Inquiry can help your Board work through the tough issues with sensitivity and community awareness.